KA24DE There are 6 products. Set 4 psc high performance racing pistons for NISSAN 240 SX 95 - 98/ KA24DE, bore 89.00mm, non turbo and turbo. Set 4 psc high performance racing pistons for NISSAN 240 SX 95 - 98/ KA24DE, bore 89.50 mm, turbo. Set 4 psc high performance racing pistons for NISSAN 240 SX 95 - 98/ KA24DE, bore 89.50mm, turbo. 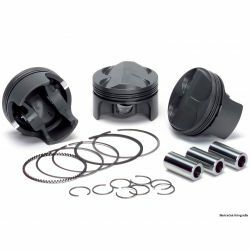 Set 4 psc high performance racing pistons for NISSAN 240 SX 95 - 98/ KA24DE, bore 89.50 mm, non turbo and turbo. Set 4 psc high performance racing pistons for NISSAN 240 SX 95 - 98/ KA24DE, bore 90.00mm, turbo.